Situated in a rural location, this hotel is within 1 mi (2 km) of Orbe Castle, Orbe Museum, and Swiss Reformed Church of Notre-Dame. Thermal Center and Maison d'Ailleurs are also within 9 mi (15 km). 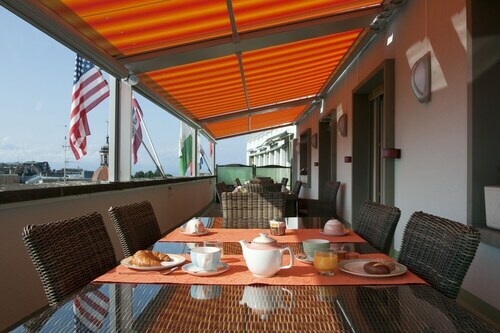 Located in Lausanne Center, this luxury hotel is within a 10-minute walk of Place of Riponne and Lausanne Cathedral. Lausanne Historical Museum and University Hospital of Lausanne are also within 1 mi (2 km). Lausanne Station is 7 minutes by foot and Lausanne Ouchy Station is 7 minutes. Located in the heart of Lausanne, this hotel is within a 15-minute walk of Place of Riponne, Palais de Beaulieu, and Lausanne Cathedral. Lausanne Historical Museum and University Hospital of Lausanne are also within 1 mi (2 km). Lausanne Station is 16 minutes by foot and Lausanne Ouchy Station is 17 minutes. 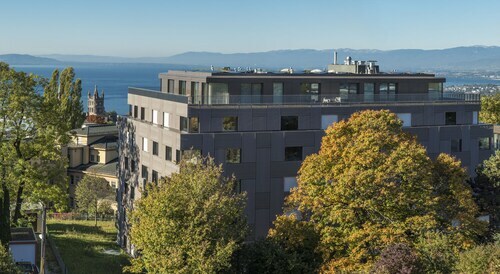 Located in the heart of Lausanne, this hotel is within a 15-minute walk of International Institute for Management Development (IMD) and Ouchy Port. Lausanne Cathedral and Lausanne Historical Museum are also within 1 mi (2 km). Lausanne Station is 6 minutes by foot and Lausanne Ouchy Station is 6 minutes. How Much is a Hotel Room in Orbe? Hotels in Orbe start at $86 per night. Prices and availability subject to change. Additional terms may apply. With only 1 accommodation option on Travelocity within an easy drive of Orbe's main area, consider organizing a place to stay well in advance. One of only a handful of rooms within 2 miles (3 kilometers) from the sights of central Orbe, is the Hôtel des Mosaïques. 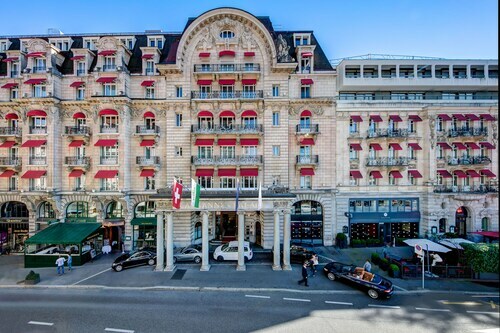 15 miles (24 kilometers) outside of the heart of Orbe, you will find the Lausanne Palace & Spa. The De la Paix is approximately 15 miles (24 kilometers) away. Some other options around this area include the Hotel Victoria along with the Hotel Angleterre And Residence. Do you want to get a little out of the center? Western Switzerland boasts lots of attractions. Western Switzerland is home to lakes and mountains. Popular vacation attractions include castles. Popular pastimes in this pocket of Switzerland include snowboarding, skiing and cross-country skiing. L'Abbaye can be found 19 miles (30 kilometers) to the southwest of Orbe. During your visit, make sure you check out the Museum of Watchmaking. Le Chenit features many good Travelocity-listed hotels. Make sure you swing by L'Abbaye, where you can find the Church Tower. L'Abbaye is 13 miles (21 kilometers) to the southwest of Orbe. Travelocity-listed places to stay in L'Abbaye include the Minotel De Ville and Hôtel de la Truite, Vallée de Joux. Before you head home, why not spend an afternoon cheering wildly with Yverdon-les-Bains lovers of sport at an engaging game. You can find Stade de Suisse Wankdorf 45 miles (75 kilometers) to the east of Orbe. 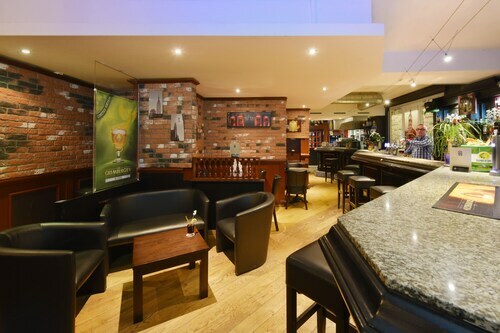 Sports fans that want to find accommodation near to the sporting action can select from the Hotel Bellevue Palace or the Hotel Schweizerhof Bern. Situated 40 miles (64 kilometers) away from the downtown area of Orbe is Cointrin International Airport. Find nearby Travelocity-listed accommodation at La Reserve Geneve Hotel and Spa or Hôtel Les Armures. This place is clean and right on the Metro. Small but efficient staff. NO air-conditioning. NO phone in the room. Electricity had to be turned on by the staff. Shower leaked onto the bathroom floor and into the main room. This is a clean but no-frills hotel. The staff was kind enough to loan me their own personal fan from the front desk. Being on the Metro line, you had the noise of the trains/passengers/students if you opened your windows to cool off the room. Also, after 10 pm at night, you had to call a number to get a code to allow you to enter the hotel. We did not have a cell phone with us and were worried about what would have happened if the code did not work! Great hotel and amazing staff!!! Close to everything. This is a very nice hotel in Lausanne - an excellent value. The hotel is near a hospital (for patients' families and such), and has some medical offices on site (may have been a hospital at some point). Thus, many of the rooms are handicap accessible, and have wide doorways and grab bars ("ADA" for the Americans). That said, the rooms are very modern, roomy, clean, and comfortable - with room-card-controlled lights, window shades, etc. The on-site restaurant is quite nice with good food, though relatively expensive for dinner (although you can get good value with the buffet if you're hungry). The included breakfast was great - many choices. The location is near a bus stop, but otherwise is not near any restaurants or places of interest. A great place to stay! Slept on the couch, beds too hard. Good breakfast, bus pass is a plus. 4.0 It is close to the water in Ouchy. The hotel was adequate to good. After we moved to our next stop in the Alps, I wish we had gone on to stay there instead. If you are in Lausanne, this hotel is a good choice.